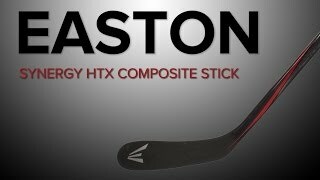 Easton Synergy HTX Grip Composite Stick - Intermediate is rated 4.0 out of 5 by 3. Rated 5 out of 5 by Ritchy F from Wonderful Support People extremely easy to work with, looking for every avenue to find our product and get us the absolute best pricing. I wouldn't order from anyone else! Rated 2 out of 5 by Heipfam from Broke in two weeks I play AAA hockey. 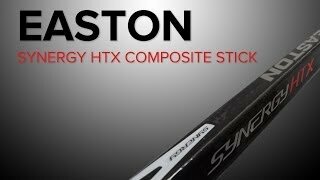 And I bought two easton HTX sticks and they both broke in the first two weeks. They were good well they lasted but the blade broke very easily. The 65 flex will be 58.5 inches long and the 60 flex will be 55 inches long. The length of this stick depends on the flex. The 60 flex is approximately 53.5&quot;, whereas the the 65 flex is approximately 58&quot;.